The Regal was one of the few mid-size sedans to offer a manual transmission; for 2017, it drops that option, and joins the automatic-only club. The 2017 Buick Regal remains one of GM's most handsome, composed sedans--just skip the base engine, and make sure rear-seat passengers are small. The Buick Regal is one of GM's more charming sports sedans, still, five years after it first hit the road. There's power, just not too much. It's responsive, but not overly stiff. 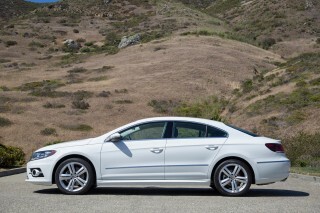 It's a convincing performer in both the luxury-sedan and sport-sedan world. 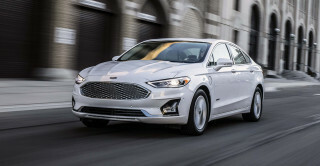 It suffers somewhat from its premium positioning, which means you'll pay more for its features and finishes for what's essentially a smaller mid-size sedan. The Regal doesn't suffer at all for its refined performance and its athletic looks, and those have brought new buyers, just the kind Buick wants to attract. Its lean, deeply stamped sheet metal is the Regal's best calling card. The sleek, tightly composed shape is one of the reasons it's been a success. It's the most athletic-looking vehicle in the Buick lineup, and it's done that with just a hint or two of Buick's dramatically styled past. The Nike-like swoosh down its sides is what it's all about—it says just as much about the Regal's mission as does the lack of portholes on the front fenders. Inside, the Regal is pleasing and intuitive. The leather and two-tone trim on top models is subdued and handsome. The cockpit has been updated almost annually, and in its latest version, offers smooth integration of buttons, screens and new technology. On the frugal side, the Regal can be outfitted with a rental-grade powertrain and commensurate base price. That 2.4-liter, 182-horsepower inline-4 is only adequate in power and in refinement, coupled as it is to a 6-speed automatic and devoid of the best mechanical touches Buick applies to other models. Buick's Regal turbos are the better choice in almost every case. Whether it's the standard or the Regal GS edition, both get a single turbocharged 2.0-liter inline-4 with 259 hp and 295 lb-ft of torque. Zero to 60 mph times below seven seconds and a sweet growl give this powertrain the nod; but if you're looking to shift it yourself, the base turbo only comes with a 6-speed automatic. The performance-oriented GS isn't a BMW 3-Series—or a Cadillac ATS—in the level of handling precision it offers, but the GS remains our favorite Regal because it imparts a sporty feel without sacrificing its well-controlled ride, albeit at a price that overlaps some true sport sedans. The Regal also can be fitted with an all-wheel-drive system, with an electronically controlled limited-slip differential across the rear wheels. The reasonably taut feel baked into the Regal's ride and handling is still here—it has the muted damping of a good German sedan, and electric power steering that avoids the heavyweight cliches. With all-wheel drive, there's more effective power delivery out of corners—and maybe more interest from shoppers. Base Regals are rated at 19 mpg city, 30 highway, 23 combined—well below 4-cylinder Hyundai Sonatas and Nissan Altimas. The Regal's turbo 2.0-liter inline-4 earns a 21/29/24 mpg rating in front-drive, or 19/27/22 mpg with all-wheel drive. The Buick Regal is comfortable for four adults, assuming the rear passengers aren't too large, as the car is slightly smaller than some other mid-size cars in the segment. It doesn't come up shy in front-seat space; the Regal's back seat may be rated for three people, but two adults could have trouble fitting in, if they're very tall. As for safety, Buick's earned great crash-test scores with the Regal in the past. It has a standard rearview camera (and on the GS, front and rear parking sensors), and adds optional adaptive cruise control, blind-spot monitors, a lane-departure warning system, and a forward-collision warning system. Bringing the Regal's infotainment system another step forward, Buick recently upgraded the available IntelliLink system to a simpler, more brightly colored interface based on Cadillac's CUE, without its haptic feedback—but also without the Regal's old knob-style controllers. The touchscreen allows users to reconfigure the home screen, to choose up to 60 favorites across its suite of applications, and to store up to 1,000 contacts—while integrating smartphone-based streaming audio and accessing navigation with natural-voice commands. Bose audio tops off the package. As an assist to the touchscreen interface, the Regal sports a 4.2-inch screen tucked in between its gauges, to display info from the available navigation system, phone, audio system, and vehicle. On the Regal GS, the center of the gauge cluster swaps out for an 8.0-inch LCD screen with customizable looks for different driving modes. The Regal also has an option for 4G LTE connectivity via OnStar, and can turn itself into a wi-fi hotspot. With one of GM's best-looking sedan bodies, the Buick Regal doesn't need to reveal its age. The current Buick Regal is one of GM's best styling efforts of the past decade. Athletic in the way its bigger sedans are not, devoid of the shuttlecock styling of the latest Volt and Cruze, the Regal has a tightly drawn body and a handsome, intuitive interior that give it a truly globally appealing aesthetic. Inside, the Regal's handsome, low instrument panel is highlighted by crisp LED-lit gauges, and the shield-shaped center stack of controls is framed by high-quality trim. An 8.0-inch LCD touchscreen dominates the dash, while a 4.2-inch screen tucked in between its gauges displays info from the available navigation system, phone, audio system, and vehicle. On the Regal GS, the center of the gauge cluster swaps out for an 8.0-inch LCD screen with customizable looks for different driving modes. The doors have glints of metallic trim and sweeping lines that read upscale, and on GS cars, the white-stitched black leather seats do the same. Regal owners can choose from satin metallic interior trim, piano-black plastic or a dark wood called Kibo; we come down in favor of the satin trim, which doesn't date the cabin or leave it smudged with fingerprints. From the outside, the Regal looks fresh and modern still. The pings of the past are few: there's a waterfall grille, and big, blingy 19- and 20-inch wheels that do more to please American eyes than engineers' tastes. The Nike-like swoosh pressed into the doors is the telling detail: the Regal still is one of the best-looking four-doors General Motors has in its stable today. It's still a knockout, trimmed out even better with LED "wings" factored into its headlights and taillights for the new model year, along with a retouched grille and a metallic band that connects the taillights. The Regal GS gets a few cosmetic details of its own. Its front end is broken up with bladed, vertical air intakes. In back, the exhaust tips are reshaped, and the small rear spoiler is a bit larger. The turbocharged Buick Regals are both quick, but the GS has the better suspension tuning. The Buick Regal keeps things fairly simple on the performance front. A single turbocharged inline-4 powers both the stock and GS models, and a 6-speed automatic is now the only transmission available. All-wheel drive is an option. Like other mid-size sedans, the Regal has completely given up on the V-6. In its more interesting forms, it gets a sweet-revving GM turbo-4 for strong acceleration. The turbocharged 2.0-liter inline-4 is kin to the one in the Cadillac ATS, and it's found in both the Regal Turbo and Regal GS. Outfitted with a twin-scroll turbo and direct injection, the turbo-4 makes 259 hp and 295 lb-ft of torque, with 90 percent of peak torque coming on board at 1,700 rpm. Zero to 60 mph times are pegged at well under 7.0 seconds. On both the Regal Turbo and the Regal GS, the powerplant is teamed to a 6-speed automatic. The formerly available 6-speed manual has been deleted. In Turbo form, the Regal is a composed, quick performer with mainstream moves. It's muted well to near-redline revs, and as usual, GM's automatic clicks off shifts as well-damped as the Regal's ride. GM's new electric power steering doesn't load up with too much weight off-center, and doesn't feel antsy with an overly quick ratio, either. With struts in front and a multi-link rear end, the front-drive Regal is responsive enough, its handling tempered with a fair amount of lean. There's an option for all-wheel drive with the Regal. It gets a different rear suspension design, and incorporates an electronically controlled limited-slip differential at the rear wheels. The system can send up to 90 percent of available torque to the rear wheels, or shift torque between rear wheels with the e-slip. The result: better response to on-power cornering, and maybe more important, a few thousands more interested buyers who put AWD in the "must-have" bin. The GS is the Regal we recommend. It's given Buick a target for ride and handling that are worth copying on every one of its cars. With a precise but absorbent feel, the Regal doesn't stumble over rigid benchmarks set by German sedans (even though, technically, it is one. 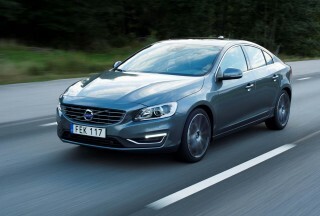 It's based on GM Europe's Opel Insignia sedan). The Regal GS may not have its own standalone engine this time, but it has some carve-outs to call its own. There's a three-mode Interactive Drive Control that changes the responsiveness of its adaptive dampers, of the throttle and transmission and even steering feel. It continues to ride on a lowered suspension with beefier front struts, and on standard 19-inch wheels with all-season tires, while 20-inch summer tires are available. There are clear levels of resolution between the three driving modes. Out of the gate, the "Touring" mode is soft enough for any daily driver, but handles flatter and more cleanly than the base turbo. Even in Sport mode, the Regal GS doesn't tighten up in any unreasonable way. 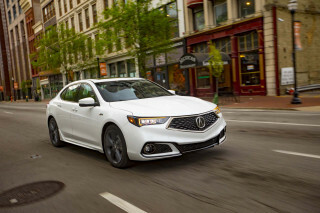 By the time it's progressively tightened up to the GS setting, the Regal still behaves in a way both of its names imply, while it tightens its reflexes to a sporty degree that's acceptably shy of the true sports sedans from BMW, Cadillac, and others. The Regal GS omits the overly heavy steering, the crazy-quick throttle of some of those cars, but doesn't have their "9/10th" precision, either. All-wheel drive amplifies the car's composure over scrubby pavement; the big disc brakes on the GS have a reassuring bite, too. The base Buick Regal is the car you'll more likely see in a rental-car lot than in a private garage, and for good reason. It's powered by an unexciting 2.4-liter, 182-horsepower inline-4, just adequate in just about everything it does, from acceleration to smoothness. It gets overwhelmed with anything more than a single passenger on board. It's only offered with a 6-speed automatic, which does have a driver-control mode for hanging around in lower gears when you need. The Regal gives front-seat passengers the royal treatment; elsewhere, it's less spacious. The Regal is rated to seat five passengers, but it's better suited to four adults—as long as the two sitting in back are relatively slight in stature. 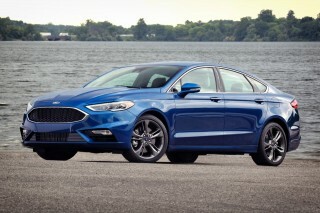 The Regal is at the small end of the mid-size spectrum of sedans, somewhere in wheelbase between Ford's Fusion and Focus. In front, that doesn't create many issues. The base Regal has leather seats with slightly more than average bolstering on the seatbacks, but with relatively flat bottom cushions. Regal GS sedans get nicely supportive sport bucket seats. For both models, head room and leg room are generous enough, unless you slide the seat forward and opt into the sunroof. The Regal's back seat is rated for three people, but two adults could have trouble fitting in. Leg room is similar on the spec sheet to that in the Honda Accord, but something about the cushioning in the Regal makes the back seat seem less spacious than rivals. For sure, the roofline meets more heads than in taller sedans, but it's comparable to truly large four-doors like the VW Passat in that respect. The Regal does well in them, but crash tests are incomplete. 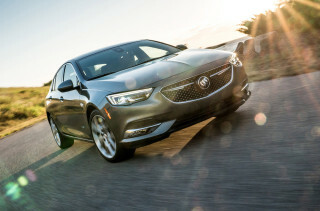 The latest Buick Regal earns respectable crash-test scores from the federal government, but other data is incomplete. 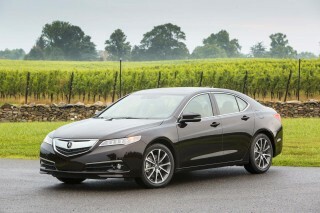 The NHTSA awards the Regal a rating of five stars overall. It's given four stars for front-impact protection and rollover resistance, but five stars for side-impact protection. The IIHS says the Regal earns "Good" crash-test results in all the tests it's performed so far; it also earns a "Superior" rating for front-crash prevention with its available forward-collision and automatic-braking systems. However, the IIHS hasn't put the sedan through its small-overlap frontal crash test, which keeps it from being named a Top Safety Pick. A rearview camera is now standard on all Regals, while the GS also gets standard front and rear parking sensors (they're available on other models, too). That's in addition to the usual airbags, and the Regal's optional rear-seat side airbags. The Regal doesn’t have much of a problem with outward vision. Still, some of its new safety options would be on our order sheet: adaptive cruise control, blind-spot monitors, and a lane-departure warning system. The Regal has ample standard and optional features, though nothing out of the ordinary. Buick hasn't changed the Regal much on the features front in the past few years. 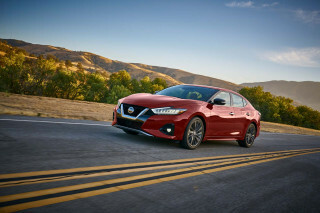 It offers the sedan in turbocharged and naturally aspirated 4-cylinder form, with available all-wheel drive, though the former eAssist mild-hybrid and manual-transmission models have met their makers. On the infotainment front, Buick's IntelliLink system is the go-between for smartphones and its audio and navigation systems. IntelliLink displays on an 8.0-inch touchscreen, offers a configurable home screen, lets owners choose up to 60 favorites across its suite of applications, and also lets them store up to 1,000 contacts—while integrating smartphone-based streaming audio and accessing navigation with natural-voice commands. IntelliLink also displays redundant information on a 4.2-inch screen tucked between the gauges. Buick's latest navigation system, an option on the Regal, eliminates our biggest complaint with previous models. The touchscreen display makes entry of destinations much easier. You can choose a turn-by-turn navigation service offered through OnStar, which doesn't have any resident maps or POIs in the car. OnStar also offers 4G LTE connectivity, which includes the ability to create a wi-fi network from the car. 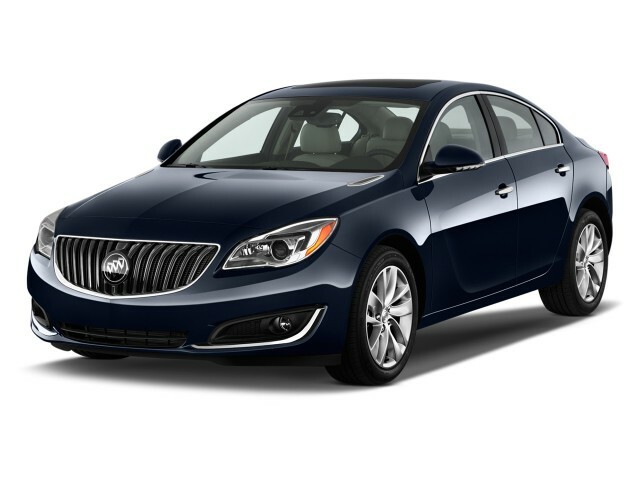 In every Regal, Buick fits standard power features; cruise control; a rearview camera; a power driver seat; heated front seats; dual-zone climate control; and an AM/FM/CD/XM audio system with a USB port and Bluetooth with audio streaming. On more expensive models, the Regal adds features like a power passenger seat; a heated steering wheel; parking sensors; and remote start. The Regal GS has more standard equipment, starting with an adaptive suspension on versions with front-wheel drive. The Regal GS also wears special 19-inch wheels, with 20-inch wheels on summer tires as an option. The Regal GS also has a configurable 8.0-inch LCD screen between its gauges that display information related to its driver-adjustable modes. The Regal's fuel economy is just average. If you choose your cars by their EPA combined ratings, the Regal will frustrate you. Buick sells an eAssist mild-hybrid Regal, but doesn't offer it to civilians. Fleet buyers can appreciate its EPA ratings of 25 mpg city, 36 highway, 29 combined—but individual buyers can't. Of the Regals available to consumers, the normally aspirated 4-cylinder model gets the best gas mileage. 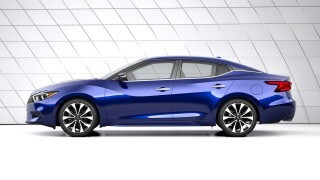 Base Regals are rated at 19/30/23 mpg—well below 4-cylinder Hyundai Sonatas and Nissan Altimas. The Regal's turbo 2.0-liter inline-4 is rated at 21/29/24 mpg with front-wheel drive. With all-wheel drive, the turbocharged Regal is rated a bit lower, at 19/27/22 mpg.